A quote from English art historian, novelist and journalist Iain Pears, in his novel The Dream of Scipio. A quote that aptly sums up who Hypatia was. Possibly one of the greatest philosophers of her age (4th century AD), her eminence doesn’t really stem from her being a woman in a “man’s world”. Rather it takes a more intrinsic route, and transcends gender characterizations, to account for the best of ‘humanity’. In essence, she was an intelligent, smart and most importantly courageous human being who stood up for her ideals even when faced with the greatest of all adversities – death. Such laudable facades of personality certainly makes her stand out in the realm of history, with bravehearted heroism taking the center stage in the life of a female philosopher and mathematician who lived in the antediluvian times of the ancient world. Hypatia (or Ὑπατίᾱ) was a Greek mathematician, astronomer, and philosopher who was born circa 4th century AD (probably between 350-370 AD) in Egypt, which was then under the control of the Eastern Roman Empire. Her earlier inclination towards the classical fields of study were fueled by her father, the noted mathematician Theon Alexandricus (335 – 405 AD). According to some sources, Hypatia was in fact educated in Athens in her younger days. But all the more impressive is the fact the Hypatia went on to become the head of the Platonist school at Alexandria in around 400 AD. 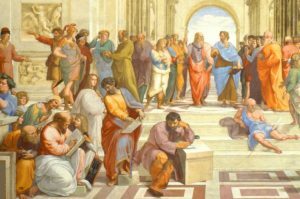 There are also hypotheses that allude to how the philosopher remained celibate all her life, not due to any religious inclination, but rather because of her diligent support for Plato’s philosophical ideas on the abolition of the family system. Now to put things into historical perspective, the city of Alexandria (originally founded by Alexander the Great in 331 BC), was the bastion of cultural and intellectual advancements when the Roman Empire was undergoing various political upheavals (after 4th century AD). These ‘civilizing’ factors were epitomized by the Great Library of Alexandria, an incredibly impressive establishment from the ancient world that was said to house over half-a-million scrolls, in spite of its accidental destruction and rebuilding in the preceding centuries. 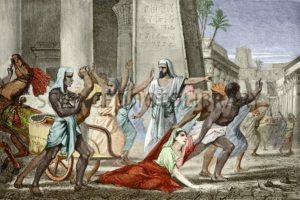 Socrates Scholasticus also offered a detailed overview of the unfortunate circumstances that eventually led to the murder of Hypatia in her beloved city. As we mentioned before, Alexandria by this time had become a hotbed of different religions, especially alluding to the denominations of both Christianity and Judaism. And beyond just competing faiths, the religious overtones of the time also had their profound effects on the political system of the metropolis. Such a potentially ‘explosive’ scenario was mirrored by Orestes, the Roman governor of Alexandria, and Cyril, the Bishop of Alexandria. Orestes through one his edicts concerning Jewish dancing exhibitions paved the way (quite unintentionally) for religious violence that basically incited the Christians against the Jews. In the ensuing riots and its aftermath, many people of Jewish faith were unceremoniously banished from the city. Remorseful over such an action that would economically afflict Alexandria, Orestes stubbornly resisted the peace overtures supposedly made by Cyril, thus (by principle) supporting the Jewish population. Such views of the Roman governor further instigated many orthodox sections of the Christians, and one such angry monk named Ammonius apparently struck Orestes in the head with a rock, causing him to be grievously injured. Ammonius was immediately tortured and put to death – which raised ardent calls for his martyrdom from Cyril and his powerful followers. Now according to the Suda Lexicon, a massive 10th-century Byzantine encyclopedia, Hypatia primarily authored three written specimens – an entire work called the The Astronomical Canon, a commentary on The Conics of Apollonius (thus leading to the notions of hyperbolas, parabolas and ellipses) and a commentary on Diophantus. She had also probably wrote and edited a few mathematical texts that survive till the present day. One example would pertain to the Book III of the Almagest, in which Theon himself alluded to the contribution (edits and improvements) made by his daughter. The subsequent chapters do showcase a far more efficient manner of doing long divisions (in Greek numericals), thus suggesting Hypatia’s crucial input. Furthermore, the female mathematician could have also authored other related books that are now ‘lost’ to history. 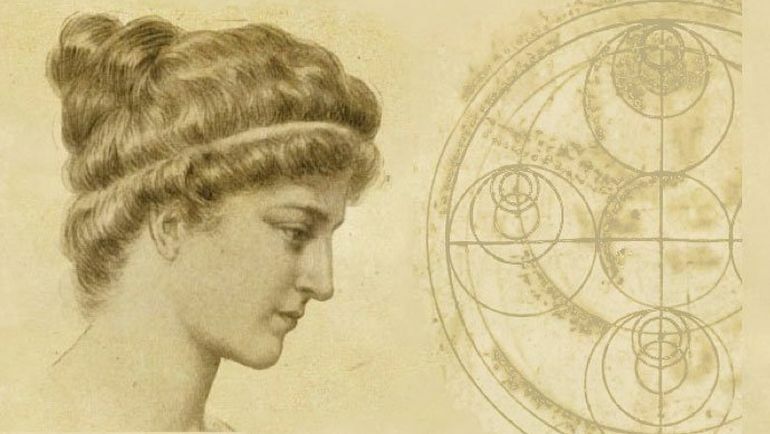 Till now we had talked about the mathematics side of affairs; but what about Hypatia, the female philosopher? Well harking back to Socrates Scholasticus, Hypatia did don the proverbial philosopher’s cloak in a quite literal way, and confidently walked through the town center while fluently delivering discourses on the works of Plato, Aristotle and other renowned philosophers. 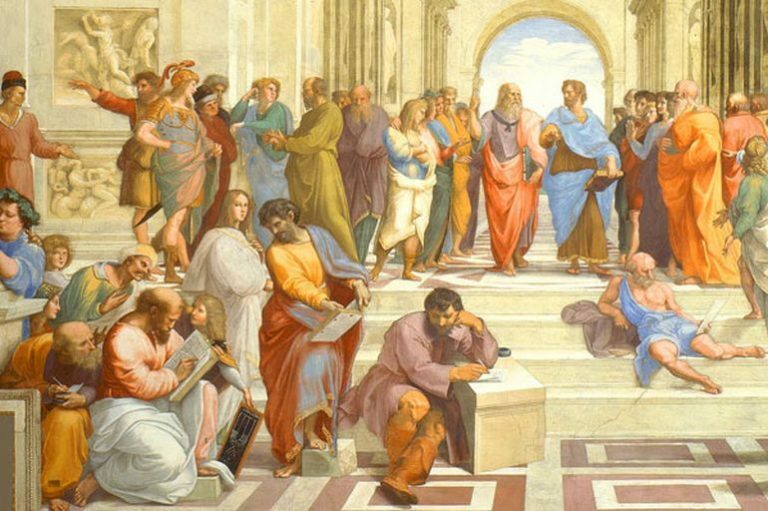 One of her famous quotes does allude to the profoundness of her thought – “Reserve your right to think, for even to think wrongly is better than not to think at all.” And as we mentioned before, in spite of the competition in the city of Alexandria, Hypatia went on to become the head of the Neoplatonist school (espousing rationalist thinking) in around 400 AD. 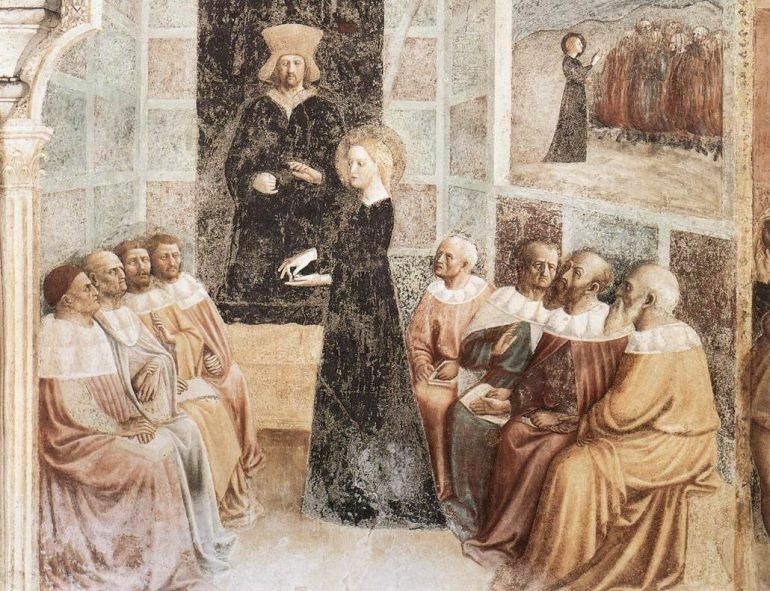 It should also be noted that Synesius (the student who credited her with the invention of astrolabe) went on to become a bishop in the Christian church and assimilated some Neoplatonic ideals into the doctrine of the Trinity.